Sword Style Bonus: All Damage will be dealt in Stamina Damage instead of Life/Chakra Damage. 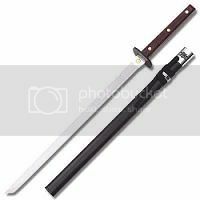 Sword Style Bonus: All Attacks will lose an available 50 Life Damage but gain: Bleed 25 Life for 2 turns. Sword Style Bonus: All Attacks gain +50 Life Damage. Tsubame Gaeshi:Swallow Reversal(350 Stamina,5 DP) Deals 2 Attacks, Both Dealing 250 Life Damage. One Attack can be Inevitable while the other deals Cant Dodge/Guard/Interrupt.Once per battle. Range 0. 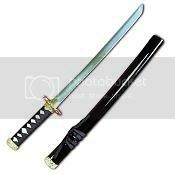 Sword Style Bonus:Blade of Honor:All Attacks lose -50 Life Damage but will cost -50 Stamina. If used with Niten, The Player can use One Wakizachi attack without it costing a skill slot per turn. Excludes Beheading Slice. Beheading Slice (100 Stamina, 2 DP) 200 Life Damage. Opponent must be Held/Immoblized and 150 Health or Lower. opponent cannot revive. Inevitable.Once per Opponent. Sword Style Bonus: Cant Avoid/Cant Interrupt can be turned into either Cant Guard or Cant Shield. Broadside Check(50 Stamina,1 DP) 50 Stamina Damage,Confuses/Slows Opponent for one turn. Cannot Dodge. Cannot Interrupt if used after a different claymore Attack. Body Splitting Cut (300 Stamina,6 DP)500 Life Damage,Opponent is killed/Cannot revive from this technique.Inevitable,once per battle. 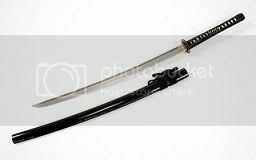 Sword Style Bonus: Techniques can Split Life damage in half and do Half Life Damage/Half Stamina Damage. 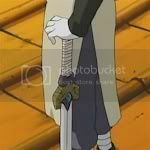 Knifed Knuckle Duster (25 Stamina,passive) Instead of using the Butterfly Swords as a Blade, The Ninja uses them as Brass Knuckles. +50 Life Damage to Taijutsu. Cannot use Sword Skills. Winged Slice (200 Stamina) 400 Life Damage,Slows opponent for one turn.Cannot Block/Avoid. Sword Style Bonus Interruption Techniques will now disarm the Opponent. Linked Hooks (25 Stamina,Passive) Links both Hook Swords together,Allowing Special Techniques to be used. 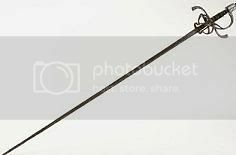 Cannot use Regular Hook Sword Techniques. Sword Style Bonus Any Offensive Technique used after a Blocking Skill will gain: Cannot Interrupt,unless it becomes Inevitable. Fall of the Great (200 Stamina,5 DP)350 Life Damage, while Bleeding 50/Enfeebling 25/Immoblizing opponent for 4 turns. Cannot use sword for duration of effects. Move-Range:1 Inevitable,Once per battle. Sword Style Bonus Cant Block/Cant Interrupt can be turned into either Cant Dodge or Cannot Avoid. Shadow Skewer (225 Stamina,3 DP) 100 Life Damage,Bleeds 50 for 6 turns.Enfeebles 50 for 2 turns.Cannot Block/Dodge. 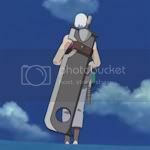 The Tailless Beast(Attribute)The Sword may Store up to 800 Chakra for the Wielder to Use. 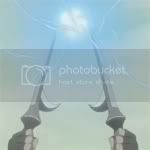 Samehada's Hunger (Attribute)Per every 200 Chakra The Samehada posseses, The sword and all of it's Skills extend by Range:1. Sharp Skin Guard (100 Stamina,) Guards against Incoming Items and Taijutsu. 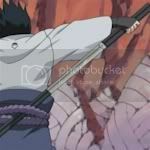 Sword Receives Tenth of Damage.The Taijutsu User will be dealt 50 Life Damage. Samehada Attacks used this turn gain +50 Life Damage. Chakra Devour(150 Stamina)Shields against Ninjutsu, absorbs Half of the Chakra cost of the Technique. Absorbing Graze(75 Chakra,250 for Cant Interrupts)50 Life Damage,Interrupts an Opponent from casting a Technique. Samehada Absorbs the half the Caster would receive.May Interrupt "Cant Interrupts" 3 times. Kiba Sword Bonus(Attribute) All Sword and Sword Style Skills gain: Cancels Target's Armor for 2 Turns. Lightning Burial: Banquet of Lightning (250 Chakra) 300 Life Damage,While Slowing for 2 turns,Sensor-Range:All Ground Levels. Linked Electricity (25 Stamina,passive) Enables linked Lightning Fang Techniques while increasing all Lightning Based Techniques by 25 Life Damage. 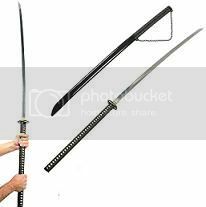 *Strike Armor (50 Stamina,125 Chakra) Guards against Taijutsu and throwing Items.After Defending Against Taijutsu,Opponent takes 200 Life Damage. 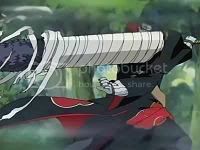 *Electric Steel Vortex (75 Stamina,75 Chakra)Guards Against all Non-Earth based Ninjutsu and Throwing Items,Reflects 2 Throwing Items. *Steel Dragon Lightning (350 Chakra) 400 Life Damage,Blinds/Confuse/Slow for 2 turns. Inevitable. Twice per battle. 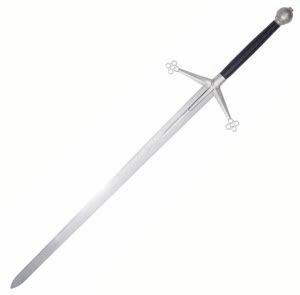 Sword Bonus: Instead of carrying this Sword,the User can summon the blade by paying 25 Chakra. 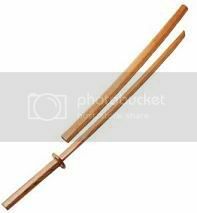 Telekinetic Return (25 Chakra,passive) The Sword will return to the Wielder,ending any disarm effect. Uncoiled Snake (75 Chakra per turn) Increases Range of Grasscutter by 2. Sword can still attack at Range:0. Cobra Strikes(200 Stamina,4 DP)Interrupts opponent from casting Technique,150 Life Damage,Poisons 50 for 4 turns. Cant Interrupt/Avoid. Snake Transformation (100 Chakra,5 DP) User can Summon any Adolescent or younger Snake summon if available. Once per Battle. Sword Style Bonus: All Skills on the User's First turn of the Player Jump deal +150 Life Damage,as when the targeted opponent is at 500 Health or below. Absorbing Irons (Attribute) All Sword/Sword Style Bonus Damage Restores the Swords Durability Points. Broadside Check(50 Stamina, 1 DP) 50 Stamina Damage, Confuses/Slows Opponent for one turn. Cannot Dodge. Cannot Interrupt if used after a different Kubikiri Houcho Attack. Soundless Murder (300 Stamina, 3 DP) 600 Life Damage,Cant be Avoided/Interrupt/Guard. Range:0, Once per Turn. 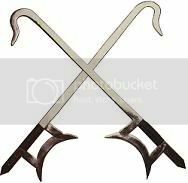 Behead (75 Chakra, 2 DP) Kills an Opponent with 300 Health or Lower,Opponent cannot Revive.Opponent must be Held/Immobilized to use. once every three turns. Sword Style Bonus:All Offensive Skills gain: Impair 150 For Three turns. 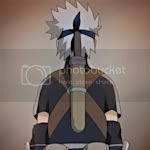 Steel of Lightning(Attribute)Lightning Affinity Bonuses will cost half as much chakra to add onto Lightning Cutter. Bird Current (250 Chakra, 3 DP) Cancels All Techniques, Includinv Inevitables. aimed at the User while inflicting Enfeeble: 200/Paralyze for two turns.Range:0, Twice per battle. Anesthesia Cut (125 Chakra, 125 Stamina, 3 DP) The Opponent is Disabled from all Abilities/Skills for the next two turns, Enfeeble 200, Cant Avoid/Guard/Interrupt .Three times per battle. Lightning Slice (125 Stamina,300 Chakra, 3 DP) 500 Life Damage,Opponent cannot revive using Traits. Inevitable, Twice per battle.